I just found out that Year at Danger will screen at the Flint Film Festival, October 18th at 6:45 pm. That’s all the info I have right now, but I’ll post more as I get it. We are very pleased to announce that Year at Danger took home the Grand Jury Prize at the deadCENTER Film Festival. It was an amazing festival and we’d like to thank Kim Haywood, Melissa Scaramucci, Cacky Poarch and everyone else at the deadCENTER Film Festival for a fantastic weekend. We also saw some great films including The Stanton Family Grave Robbery, Brick by Brick: A Civil Rights Story, Split: A Divided America, Night of the Hell-Hamsters, Drag King, and Unsolved. Thanks for everything! 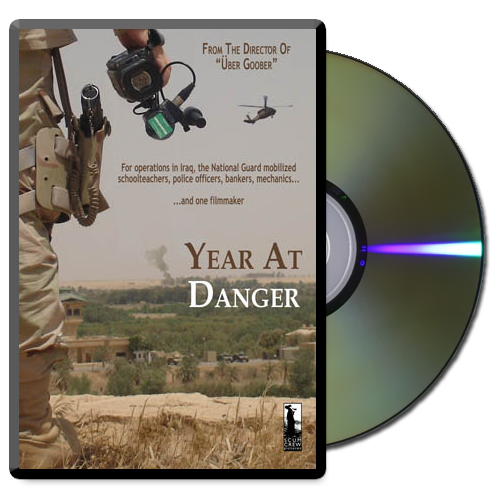 Year at Danger will be screening on Thursday, June 12th at 7:30 pm in Austin, TX at the Regal Arbor Cinema (facebook) and then in Oklahoma City on June 13th and 14th as part of the deadCENTER Film Festival. We’ve just returned from a fantastic weekend at the GI Film Festival in Washington, DC. Steve got a chance to meet and catch up with Chief of Staff of the Army / his old boss in Bosnia, General Casey, and we also saw some great films including Swim (which went on to win the GI Spirit Award), Facing the Enemy, and God and Country – these films are all making the festival circuit and are worth seeking out! Thanks to Brandon and Laura for a fantastic weekend!